Obituary – VanBrunt, Kenneth Gene « Perry High School Alumni Association, Inc.
Kenneth “Kenny” VanBrunt, passed away Wednesday, April 11, 2018 in Kingfisher, Oklahoma, at the age of 72. Graveside services are scheduled for Friday, April 13, 2018, at 4:00 pm at Grace Hill Cemetery in Perry. Visitation will be held on Thursday, April 12th from 2:00 pm to 8:00 pm and then on Friday, April 13th from 9:00 am to 3:00 pm at the funeral home. Kenny was born September 9, 1945 in Perry, Oklahoma, to Charles and Marjorie (Jordan) VanBrunt. 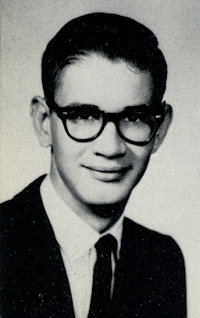 He spent his childhood in Perry and graduated Perry High School in 1963. He was self employed in the Oil Field industry. He owned and operated Industrial Engineering for several years. 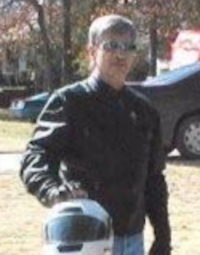 He was an avid motorcycle rider. In his pastime he enjoyed traveling, fishing, and working on computers. Kenny is survived by his son, Troy and Jennifer VanBrunt of Edmond, Oklahoma; grandson, Ethan VanBrunt of Edmond, Oklahoma; brother, David VanBrunt of Shawnee, Oklahoma; sister, Jan VanBrunt-Johnston and husband Gary of Las Vegas, Nevada; nieces and nephews, Terry VanBrunt, Greg VanBrunt, Craig VanBrunt, Amber VanBrunt, Nick VanBrunt, Amy Foster, and Jordan Johnston. He was preceded in death by his parents, and brother, Mike VanBrunt.